I’m a bit slow to get started this morning, since I didn’t get home until the wee small hours after a trip to the Royal Astronomical Society yesterday, followed by a pleasantly tipsy dinner at the Athenaeum with the RAS Club. Anyhow, one of the highlights of the meeting was a presentation by Prof. Gerald Roberts from Birkbeck on Marsquakes: evidence from rolled boulder populations, Cerberus Fossae, Mars. 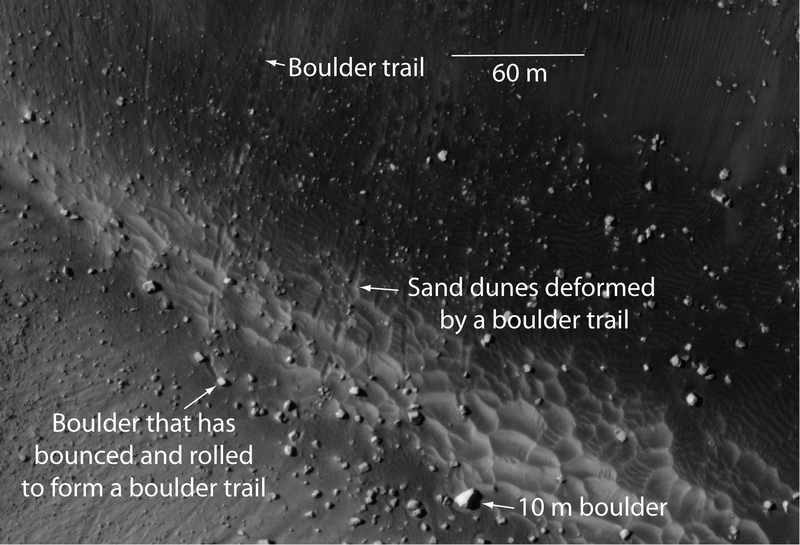 The talk was based on a recent paper of his (unfortunately behind a paywall), which is about trying to reconstruct the origin and behaviour of “Marsquakes” using evidence from the trails made by rolling boulders, dislodged by seismic activity or vulcanism. Here is a sample picture showing the kind of trails he’s using – the resolution is such that one pixel is only 20cm! There are enough trails to allow a statistical analysis of their distribution in space and in terms of size (which can be inferred from the width of the trail). I had some questions about the analysis, but I haven’t been able to read the paper in detail yet so I won’t comment on that until I’ve done so, but the thing I remember most from the talk were these remarkable pictures of what a rolling boulder can do on Earth. They were taken after the earthquake in Christchurch, New Zealand, in 2011. 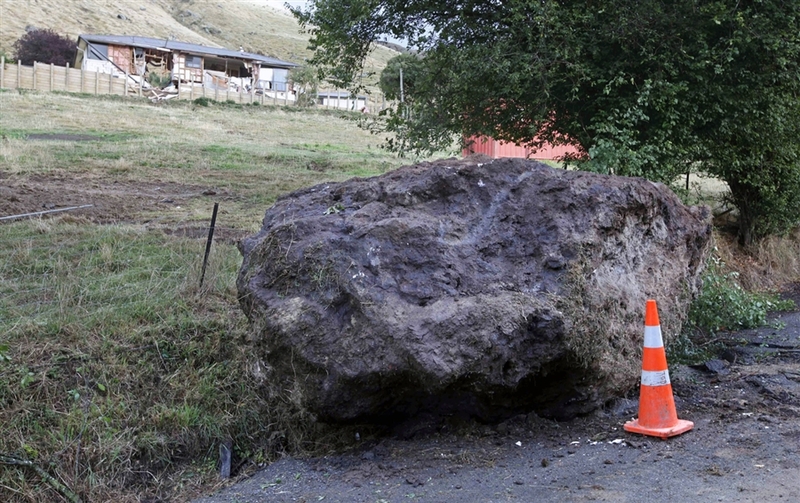 A large boulder was dislodged from the top of the hill behind the house in the second picture. 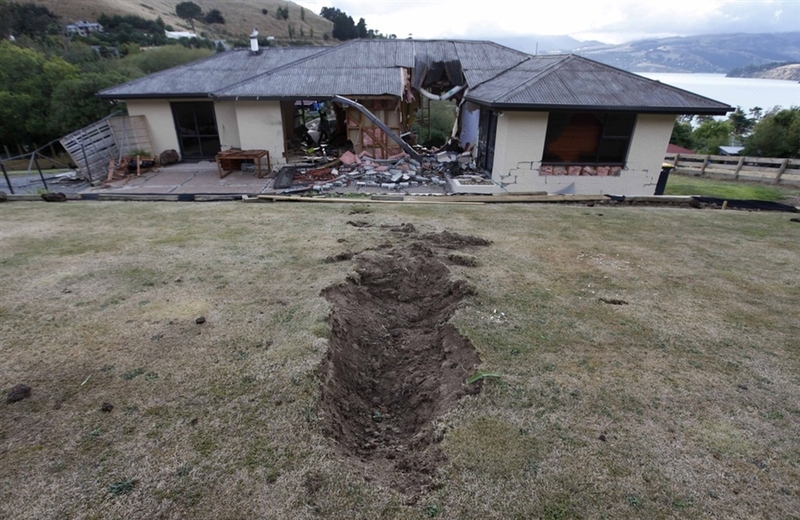 It didn’t just roll, but bounced down the slope (see the large furrow in the first picture; similar bouncing trajectories can be seen in the picture from Mars), smashed straight through the house, exited the other side and came to rest on a road. Yikes. 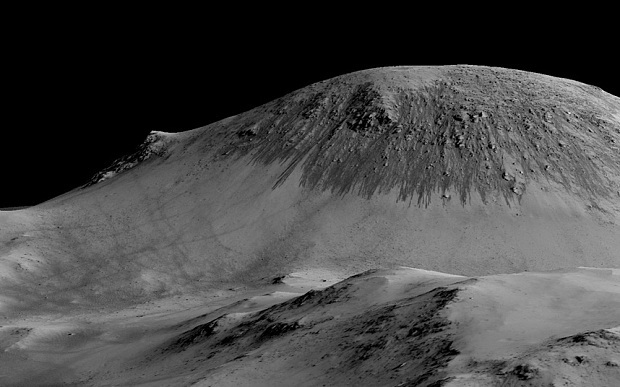 A nice blog on the evidence (such as it is) for water on Mars, which is good because it means I don’t have to try writing about it! Yesterday’s post got me thinking about what it is that makes scientists decide on their own speciality. It’s got to have something to do with the intersection between interest and aptitude, in that I think we learn gradually through our time at School that there are some things we can do well and others that we can’t but the things we can do well aren’t always things we find sufficiently interesting to make a career doing. I suspect luck also plays a big part, in that the choices one gets to make must be taken from the options at a very particular time. I ended up doing research in cosmology after my first degree, but it wasn’t any kind of a grand plan that got me to Sussex in 1985 to do that but it just seemed the best choice to me out of all the half-a-dozen other places I visited. Before I meander off the point again I’ll just pass on something that one of my teachers at school told me, and which probably had a big effect on an impressionable teenager. It was my chemistry teacher, Geoff (“Doc”) Swinden, that probably had more influence than anyone in making me decide to become a physicist. 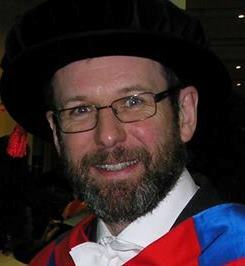 By the way he was called “Doc” because he had a PhD (or perhaps a DPhil, as I think he got his doctorate, in organic chemistry, from Oxford University). I didn’t go into Organic Chemistry, of course, but that was mainly because I hated the practical aspects of chemistry and pose a considerable threat to the safety of others when placed in any kind of laboratory environment. Anyway, I remember very well a comment of Doc Swinden’s to the effect that anyone wanting to be called a proper scientist should avoid any subject that required the use of coloured pencils. That ruled out biology, geology and a host of others and left me firmly in the domain of physical science. I ended up going to Cambridge to do a degree in Natural Sciences, which allowed me to do chemistry and physics for a year and then decide which to continue. Obviously I went the way of physics. I don’t regret going into physics at all, but I don’t think this bit of advice was all good. When I went to Cambridge to study Natural Sciences, I had to pick an extra subject to do in the first year to do alongside my main choices, chemistry, physics and mathematics. Among the options were geology, biology of organisms, and biology of cells but, mindful of the possibility that all of these might require the dreaded coloured pencil, I went for a course called Crystalline Materials. It’s true that I didn’t have to colour anything in, but it was the most mind-numbingly awful course I’ve ever taken. I very nearly failed it at the end of the first year, in fact, but still managed to get a First-class mark overall. 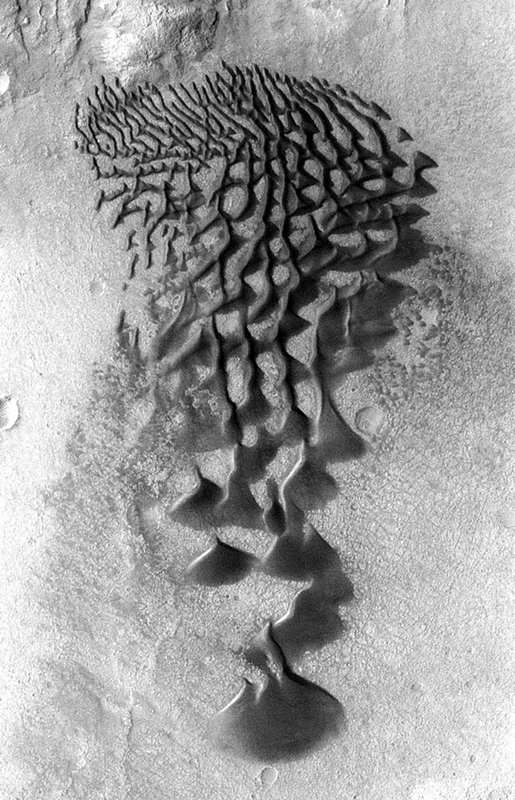 Going back to yesterday’s post, I realise that one of the reasons I’m less gung ho for Mars exploration than some of my colleagues might be that it’s a bit too much like geology or even biology. It seems the ghost of the coloured pencil is still haunting me. To Mars or not to Mars? Amongst the news this week was President Obama’s announcement of a new space exploration policy for NASA. Out goes the Constellation program, including the Orion crewship, its Ares launch rocket, and the rest of the project’s Moon-bound architecture. Obama says NASA were on an unsustainable path, costing too much money and taking too long to develop. Instead he’s given them extra funds ($6 billion, modest by the standards of space exploration) and told them to find new ways of putting people into space. 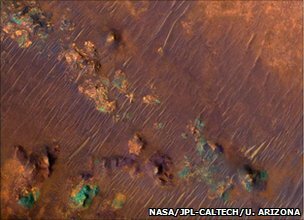 Obama’s particular goal is to send someone to Mars by the mid 2030s and return them safely to Earth. I think Obama’s plans have ruffled a few feathers, especially among those longing for a return to the Moon, but it seems to me to be both bold and intelligent. The European Space Agency also has a programme – called Aurora – which includes components involved with both robotic and human exploration. This programme is a kind of optional extra within the ESA budget and countries that wanted to join in were asked to pay an extra contribution. The UK opted in so now we pay a top-up on our subscription to ESA in order to participate. This will be one of the things that transfers to the new UK Space Agency, when it’s up and running properly, from the Science and Technology Facilities Council (STFC). Thus far the UK policy has been not to get involved in human space exploration. There are a lot of reasons behind that, but one of the most important is sheer cost. Space exploration is expensive by its very nature, but involving human beings creates enormous extra costs connected with keeping them alive and keeping them safe while they are in space. Since our national expenditure on space exploration has largely been channelled through STFC (or its predecessor PPARC) where it has had to compete for funds with “pure” science activities in the areas of particle physics and astronomy (and, more recently, nuclear physics). The other factor is that there aren’t many feasible targets for manned spaceflight in the first place. The Moon and Mars are basically it. Other objects in the solar system are either too distant or too inhospitable (or both) to be considered. Unmanned probes haven’t all been successful, but some certainly have paid off enormously in scientific terms. I give the Cassini-Huygens mission to Saturn (and its extraordinary moon Titan) as an example that has turned out, in my opinion, to be nothing short of sensational. The images of Titan’s surface sent back by Huygens were gobsmackingly amazing, for instance. Before going on let me point out that I’m a cosmologist, not a planetary scientist. There’s a tendency among scientists to think that their own field is more important than the others with which it has to compete for funding. It’s perfectly natural that someone working on galaxy formation should find galaxies more interesting than planets, and vice-versa. We all pick what we want to work on, and obviously we pick what interests us most. But any scientist worth his/her salt should have enough of a grasp of the big picture to recognize outstanding work in disciplines other than their own. I don’t want anyone to think that the following comments are intended to suggest that there isn’t excellent work going on in the UK and rest of the world in the field of planetary exploration. I do think, however, that there is a big difference in character between fundamental science (especially particle physics and cosmology) and planetary exploration. In fundamental physics we are attempting to uncover the nature of basic constituents of the universe and the general laws that govern the structure of matter and how it interacts and evolves – in other words, its scope is (or at least tries to be) universal. It’s certainly this aspect – trying to unravel an enormous cosmic puzzle – that drew me into cosmology. By contrast, the study of a particular planet – even a fascinating one, such as Saturn with all the beautiful orbital dynamics going on in its ring system – lacks this aspect of universality. That’s why cosmology interests me more than planetary exploration does. This is nothing more than a statement of personal interest. Having said that – and pointing out again that I’m no particular expert on the Solar System – I don’t find the Moon and Mars very interesting from a scientific point of view compared with, say, the outer planets which I find fascinating. 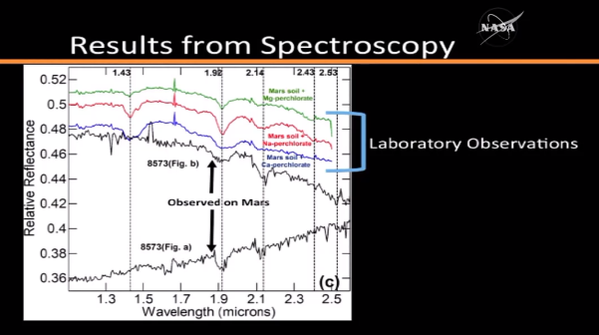 Others – a great many others, in fact – obviously do see a lot of interest in Mars. I’m not at all convinced about the scientific merit of some other space probes either, especially the planned Mercury orbiter BepiColombo. But there we are. We can’t all expect to agree on everything. What I’m trying to say, though, is at the moment these different types of activity are funded from the same pot. In order to draw up an order of priority, STFC has to compare apples with oranges with predictably bizarre outcomes. Moreover, space exploration – especially human space exploration – isn’t just about science. There are definite commercial opporunities in space, in both short and long term. Space missions often provide results that are fairly easily accessible to non-scientists, so has considerable popular appeal as well as inspiring young people to take up science and engineering subjects. It has immense cultural impact too, altering the way we think about ourselves and our place in the Universe. But these aren’t unique to space exploration. Particle physics and astronomy do this too. So we shouldn’t think of the plan to put a man on Mars as being primarily a scientific thing anyway. I’m quite comfortable with that. My worry – if the UK decides to take part in manned Mars exploration – is that the money will come from the already dwindling pot allocated to fundamental science. Particle physics and astronomy research in the UK is on the ropes after the recent devastating cuts. Any more blows like this and we’ll be on the floor. I’m deeply worried that far worse is already on the way – a combination of public spending cuts after the general election and political directives to devote more to space exploration. The new UK Space Agency could be either a hero or a villain, and I don’t know how it will turn out. On the one hand, the creation of this organization may prevent the fundamental sciences from being squeezed further by expensive space projects. In this way it might represent a recognition of the different characteristics I talked about above. The industrial and commercial aspects of space exploration are present in the new outfit too. On the other hand, the result of hiving off the “glamorous” space parts of STFC may lead to further cuts in what is left behind. I’m also nervous about the future relationship between UKSA and STFC, especially the extent to which the former can demand research grant funding from the latter. This is something that I’d be genuinely interested in hearing other views on. What is stated above is my opinion and is not intended to be representative of anyone, but I’d be very interested in hearing other views through the comments box.